Kazuho Ono received the B.E. and M.E. degrees in instrumentation physics from the University of Tokyo, in 1989 and 1991, respectively. 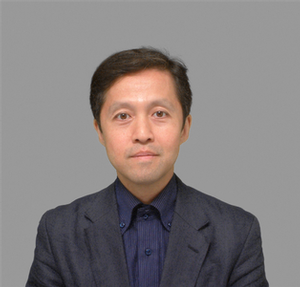 In 1991, he joined NHK Science and Technical Research Laboratories and has worked on research for 3-dimensional sound reproduction system using loudspeaker arrays, and for electroacoustical transducers. His research interest includes algorithm for artificial reverberation, and auditory modeling. During the year 2001, he was a visiting researcher at Helsinki University of Technology. Mr. Ono was a chair in AES Japan section in the year 2008-2009. He was a paper chair/co-chair in AES Tokyo Convention in 2007, AES Japan Conference in Osaka in 2008, and AES 40th international conference. In 2008 and 2013, Mr. Ono was awarded from the Acoustical Society of Japan for the development of super-wide-range microphone and narrow angle directional microphone, respectively. In 2009 he was awarded for the development of high functionality microphone from the Foundation of Broadcasting Culture in 2009.